Carbon dioxide (CO2) is a colorless and odorless gas that exists in the earth’s atmosphere and which is dangerous in high concentrations. The proportion of CO2 in natural ambient air is about 0.04 % or 400 ppm. When humans and animals exhale this gas, it is quickly mixed with the ambient air, including in rooms that are well ventilated. 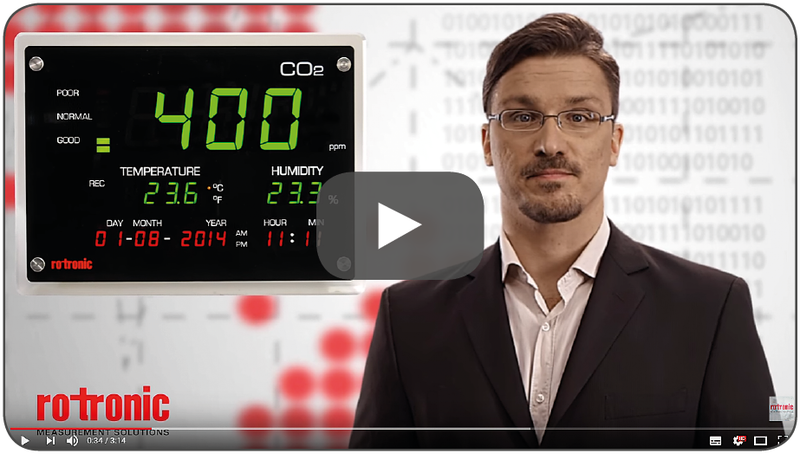 In order to initiate suitable countermeasures such as an increase in the supply of fresh air, it is important in modern climate control systems to measure not only parameters such as relative humidity and temperature, but also the CO2 content. The concentration of CO2 is regarded as an important indicator for the indoor air quality. The measurement technique is based on the principle of NDIR (non-dispersive infrared) sensors. This gas sensor works as a spectroscope and analyzes which wavelengths emitted by a light transmitter reach a receiver. All probes are pre-calibrated and have a lifetime of more than 15 years in normal applications. The automatic baseline correction means the sensors require no further calibration if they are used in indoor air applications.